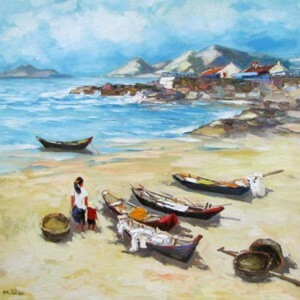 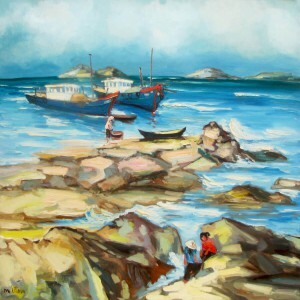 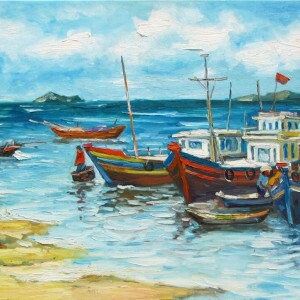 Seascape has always been a significant part of contemporary Asian painting. 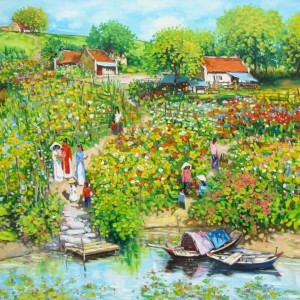 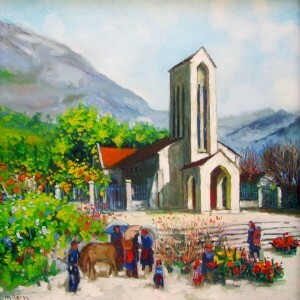 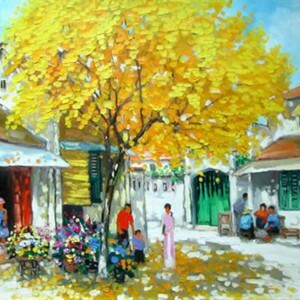 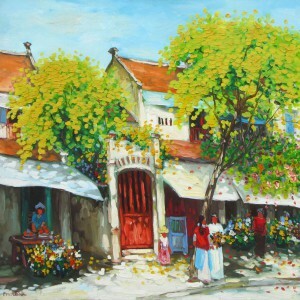 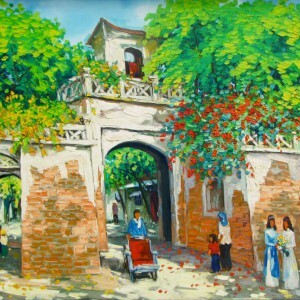 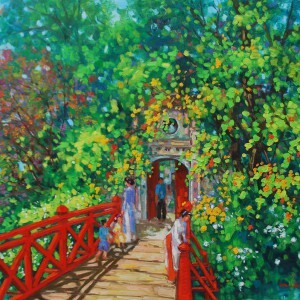 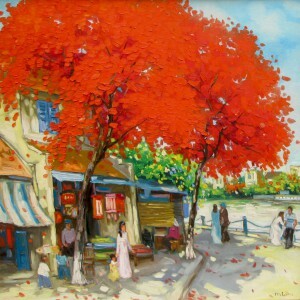 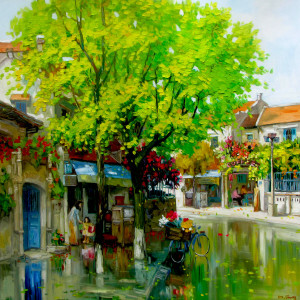 Artists like Lam Manh regularly refer to its enigmatic cosmic element by picturing its astonishing grandiosity. 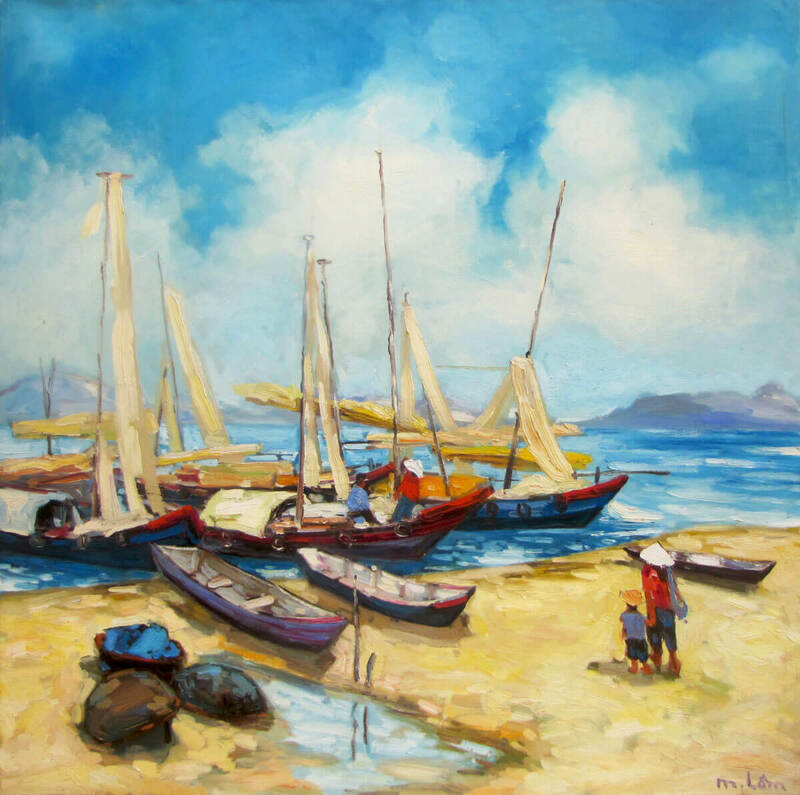 The featured composition almost lets us feel the warm sea breeze and salty air, by emphasizing on two key colors – the azure of the sky and the sea and the yellow of the beach.